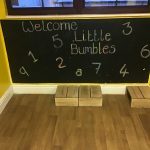 On Friday 1st February 2019, we supported Number Day within nursery. Number Day is a mega maths-inspired fundraising day to raise money for the NSPCC. 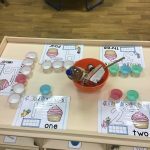 Throughout the day the children were provided with a wide range of mathematical activities such as number rhymes, measuring, filling and pouring, number recognition, shape language and many more. All staff and children were invited to join us in wearing clothing which relates to numbers, or their own homemade outfit. 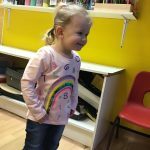 There was a bucket at reception for any donations and as always the children were more than welcome to wear their outfits across the week if Friday wasn’t their normal nursery day.